During the cold winter months, working out seems less than desired. I think most of us don’t want to risk to slip on ice when out for a run or a walk. And heating up your car in a chilly morning to get to the gymnasium can be quite difficult. But winter shouldn’t be a time for hibernate! All we know that exercise can help beat those winter blues, so with the right mix of exercises, these winter months can actually be a great time to get creative, mix up your workouts, and try some new and fun activities. 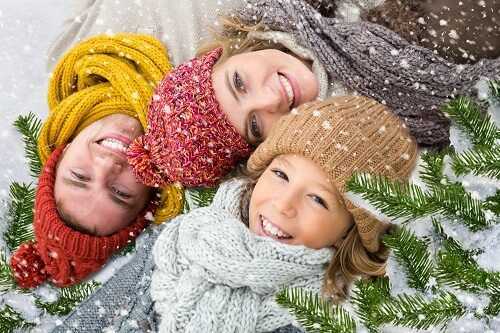 Here are 7 ways on how to stay active during the winter months. If you’ve never loved the winter, this year try to focus on things, which you do love about it. In fact the winter time provides lots of new opportunities for your health and fitness. From eating tasty in-season produce such as oranges, chestnuts, and kale, to curling up with a cup of hot cocoa near fireplace after a workout. There are many things you can love about winter when you appreciate and embrace it. You need remember that winter is not only about chilly weather, it’s absolutely new season! It’s the perfect time for sitting down and setting new goals. Plan out what you would like to accomplish during the winter months, and try to achieve your goals. It’s also very important to reflect upon your past accomplishments and your current goals. It will help you see the winter in a new and inspired light. If you don’t feel like work out in winter, try to play instead. In this way you can still burn lots of calories. The great part about playing is that you can still get your heart rate up and have a perfect cardio session. Make snow angels, have a snowball fight or build a snowman. If there is no snow in your area you can try ice skating, a fun activity that you can do outdoors or indoors. In addition, ice skating can burn over 450 calories per hour! If you want to stay active during these winter months, why not try some new winter sport? From snowshoeing to skiing, there are many options! In such way you can put a new twist on your chilly weather workout plans and burn mega calories. When it’s cold outside it’s so difficult to get to the gym, but it’s not the reason to miss your daily exercises. You can work out at home, where’s so cozy and so warm. Whether you invest in a new workout DVD, or even buy some pieces of fitness equipment, exercising at home is a convenient and really fun way to stay on track. The best part about working out at home is that you won’t catch an illness at the gym during this cold and flu season. Home is really where the healthy heart is! To get you up and moving during the winter months you can sign up for a new class or joining some indoor sports team. If you try something new, you will reignite your motivation for cold weather and for fitness! It can be indoor volleyball or football team, tennis lessons or something like that. It is a great way to stay active during the winter months. You can even learn some new skills or make new friends. Finally, the last way to stay active during the winter months is to set both big and small goals. It can be anything from running a 3K to losing those 10 pounds, it’s important to set goals, which you really want to achieve. Setting a goal that you then break down into achievable action steps is a perfect way to start. Don’t focus on just working out this winter, get excited and do something you really like! There are many workout options during the winter months, so make sure you always stay safe, especially if you decide to exercise outdoors. What other ways to stay active during the winter months do you know? Share your thoughts, please!